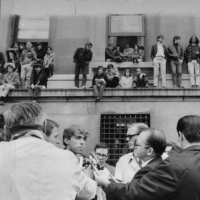 For the remainder of April, the first half hour of all weekday Arts Programming will be devoted to playing WKCR's archival recordings of Columbia's 1968 protests to celebrate the fiftieth anniversary. Tune in! More anniversary coverage to come!